BabyComs are back in stock, ready for immediate shipment! As featured in Contemporary OB/GYN and Pregnancy Magazine: Joy. Peace of Mind. Now you can listen to your baby's fetal heartbeat at home with the Babycom Home Doppler Fetal Heartbeat Monitor (Babycom monitor). Experience the joy of listening to your baby's heartbeat any time you want with the Babycom Monitor. The Babycom Monitor is a state-of-the art (yet easy to use) Doppler monitor that lets you experience the excitement and joy of hearing your baby's heartbeat at home. Babycom is the only Doppler monitor designed specifically for personal use. The affordable Babycom monitor even lets you share the sound of your baby's heartbeat with friends and family. Hear an actual recording of a baby's fetal heartbeat using the Babycom Home Doppler Fetal Heartbeat Monitor. Why rent a Doppler fetal heartbeat monitor and pay monthly rental fees when you can buy your own Doppler fetal heartbeat monitor? For many pregnant mothers, pregnancy is a time of nervousness over the health and well being of their developing baby. Listening to your baby's heartbeat at home with the Babycom monitor may add comfort to some of your concerns. You and your family can experience the joy of hearing your baby's heartbeat at home, anytime you like. The Babycom Home Doppler Fetal Heartbeat Monitor is a state-of-the art and affordable home doppler system. Babycom is an advanced yet simple to use fetal heartbeat monitor specifically designed for home and personal use. The patented Babycom monitor allows you to quickly, easily and conveniently detect your baby's heartbeat and determine your baby's heart rate in beats per minute (bpm). 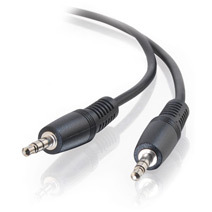 Babycom's high-quality audio signal offers extreme clarity. The digital display showing your baby's heart rate is sharp and clear. Additionally, Babycom's proprietary wide-angle ultrasound beam allows for accurate results simply and safely. Why is Babycom Home Doppler Fetal Heartbeat Monitor Different Than Most Other Doppler Fetal Heart Beat Monitors? Fetal heartbeats are "heard" and the heart rate calculated when an ultrasonic beam is directed at the fetal heart. Because some of the other Doppler fetal heartbeat monitors have a comparatively narrow beam capability, it is often difficult to detect the very small fetal heart within the relatively large volume of the developing fetus. Unlike some of the other Doppler fetal heartbeat monitors, the Babycom Doppler Monitor was specifically designed to be used at home. Babycom's proprietary wide-angle ultrasound beam detects fetal heartbeats with minimal positioning making it easier to find. The shape and design of the Babycom Monitor allows you to easily find your baby's heartbeat yourself (whereas many competing Doppler fetal heartbeat monitors work best if somebody else is positioning the monitor to detect the heartbeat. One-Year Manufacturer's Warranty: Babycom Home Doppler Fetal Heartbeat Monitors include a one-year manufacturer's warranty against defects from the date of original purchase. During the warranty period, the product will be repaired or replaced at our discretion. This warranty does not apply if the product has been modified, tampered with, misused, subject to abnormal working conditions, or physical abuse. Damage caused by misuse is not a material or workmanship defect and is not covered by warranty. (Because of the personal nature and use of the BabyCom Home Doppler Fetal Heartbeat Monitor returns are not allowed except under the manufacturer's warranty provisions). If you wish to combine shipping when buying multiple items, please Contact Us before check out. 9.75% state sales tax will be charged to all California buyers, and a $12.00 fee will be charged to ship the BabyCom to the 48 contiguous United States. International shipments can be made at an additional charge to the buyer, Contact Us for details. Health & Personal Care Disclaimer: Content on this site is for reference purposes and is not intended to substitute for advice given by a physician, pharmacist, or other licensed health-care professional. You should not use this information as self-diagnosis or for treating a health problem or disease. When you receive an item, carefully read all labels, warnings, and directions before use. Contact your health-care provider immediately if you suspect that you have a medical problem. Babycom Home Fetal Heartbeat Monitor Device should not be used by you in any way for diagnostic or other medical purposes. 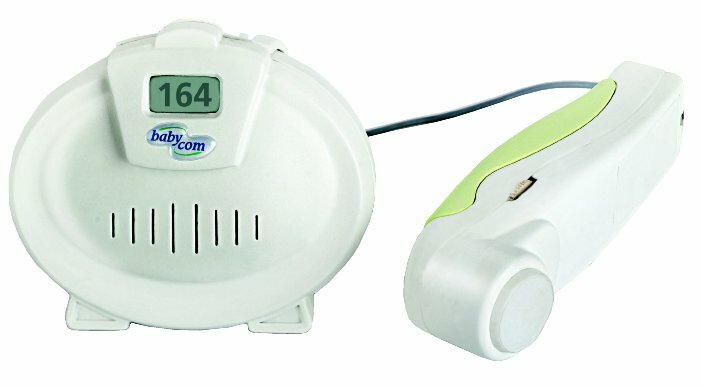 Babycom Home Fetal Heartbeat Monitor Device is not intended and should not be used as a substitute for regular prenatal care by medical practitioners. Any concerns about your pregnancy should be addressed to your medical practitioner. This unit is for home use by expecting mothers with the approval of their physician. Please discuss the use of the Babycom Home Doppler Fetal Heartbeat Monitor with your physician and get your physician's approval before purchasing. We suggest that you consult with your physician on the proper use of this device. By purchasing the Babycom Home Fetal Heartbeat Monitor Device, you agree to release, indemnify, and hold harmless Sun Coast Medical and all of it's officers and employees from all liability for your use of the Doppler purchased. Currently, the FDA requires a physician's prescription for the sale of Doppler fetal heartbeat monitors. Using a Doppler without physician's supervision or a prescription is not recommended.